Abbotsford – APRIL 10 UPDATE – The Abbotsford U-District Neighbourhood Plan received 1st & 2nd Readings at Monday night’s Council meeting. The Plan will now go to the public for input and a Public Hearing on May 28th, following which Council will be asked to give it 3rd Reading and Adoption. 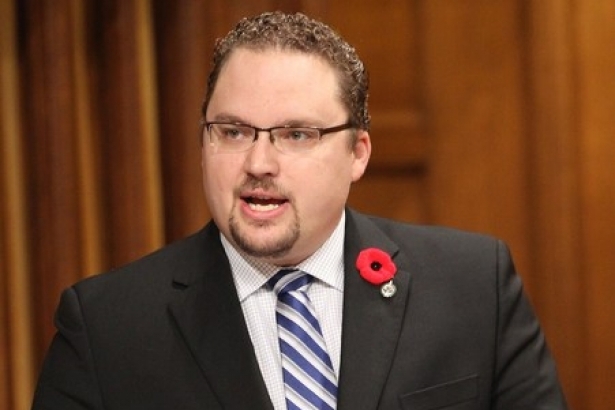 Abbotsford Councilor Dave Loewen is one who is very happy that this vision is going forward. this follows public open houses at UFV, demonstrating what the new U-District would look like. 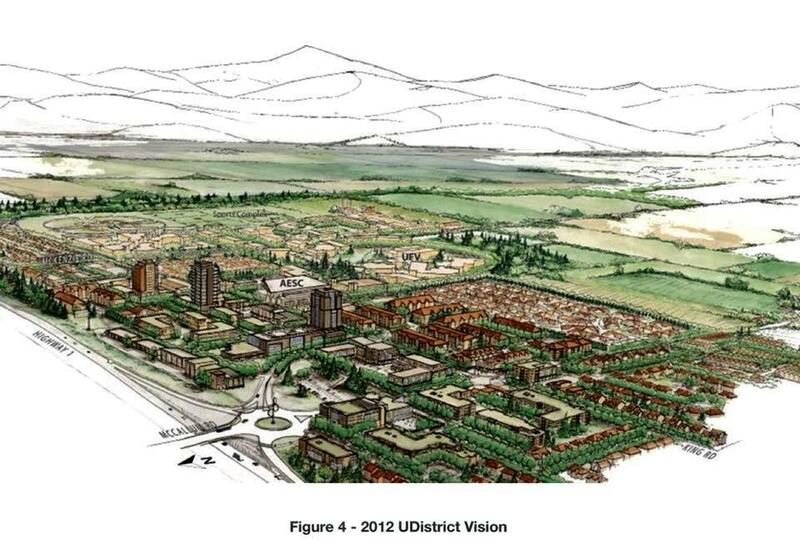 The original concept for the U-District started in 2009 with the first visual concepts appearing in 2012. 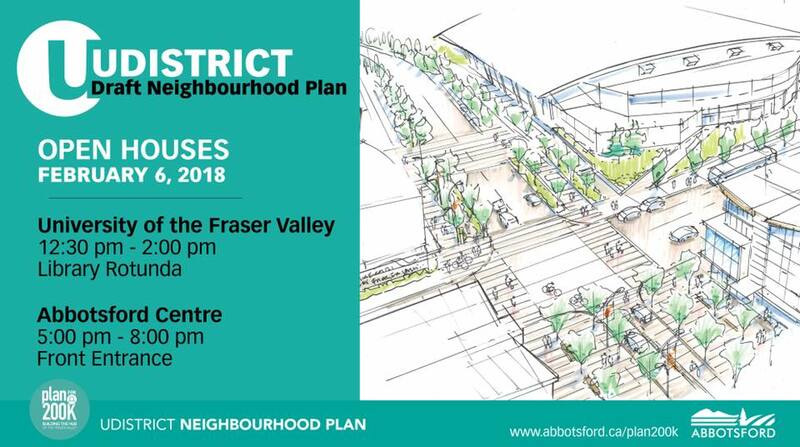 JANUARY 23 UPDATE – Abbotsford City Council will have two open houses on the U-District plan to revitalize and update the area surrounding the UFV Campus and Abbotsford Centre. Join in to help shape the future of the University campus and surrounding neighbourhood. JANUARY 22 ORIGINAL STORY – Abbotsford Council will, on Monday receive a staff report on the U District Neighbourhood Plan. This is nothing new. In fact the ball started rolling in 2009. The project is an obvious tie-in with the 200K Plan, as the City charges ahead with a population in excess of 200,000. 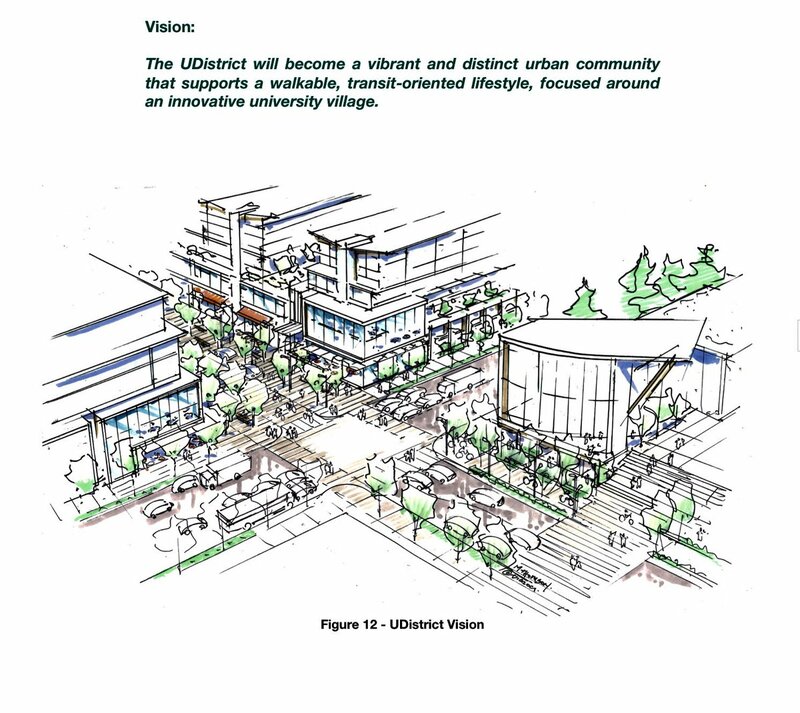 The U District will be bumping up against the current UFV Abbotsford Campus and as you can see by the drawings below, includes Abbotsford Centre and the home of UFV Athletics, Envision Centre. The UDistrict Neighbourhood Plan will outline the proposed land uses, densities, built form guidelines, public spaces, multi-modal transportation network, and servicing / green infrastructure strategies. 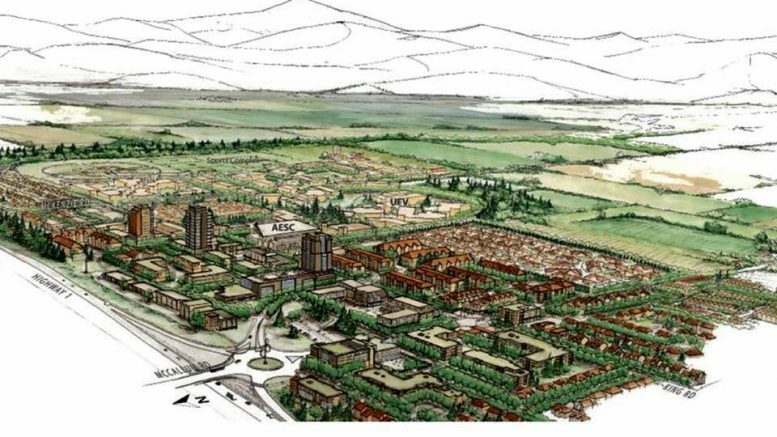 The 2009 UFV Abbotsford Campus Master Plan, which directs the development of the Abbotsford campus, will be updated at the same time to ensure that both plans work together to further enhance this neighbourhood. There will be opportunities for public consultation throughout the project. In 2011-2012, City of Abbotsford residents, students, faculty, and many others came together to imagine what the University of the Fraser Valley (UFV) Abbotsford campus and the surrounding neighbourhood would become in the next 30 years. This vision saw UFV continuing to grow and expand a campus that is integrated with the neighbourhood. The surrounding area is envisioned to become a mixed-use, vibrant community that is walkable with numerous amenities. 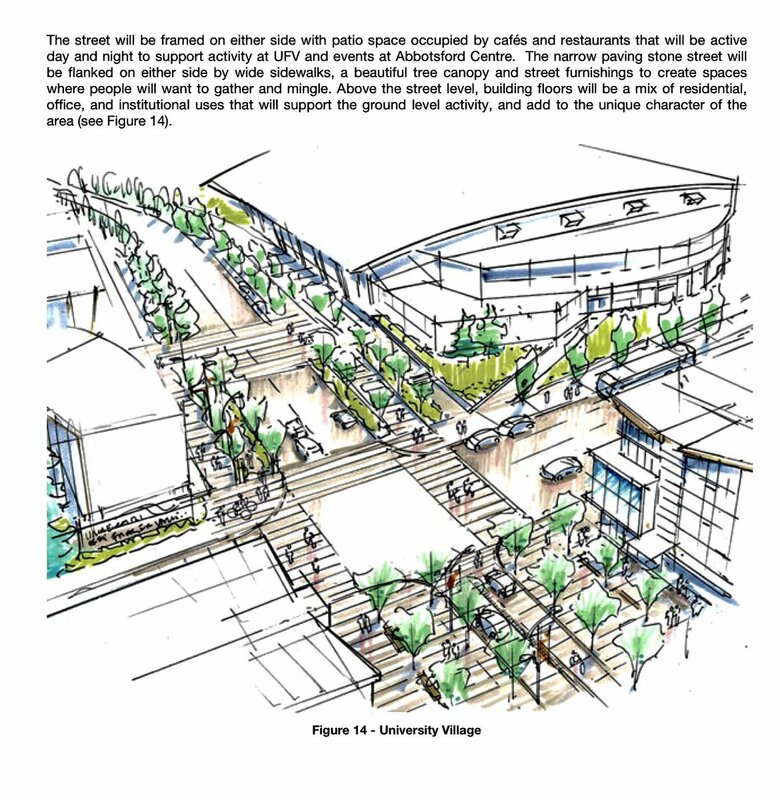 The City of Abbotsford is working together with UFV on a planning process to achieve this vision: the UDistrict Neighbourhood Plan. 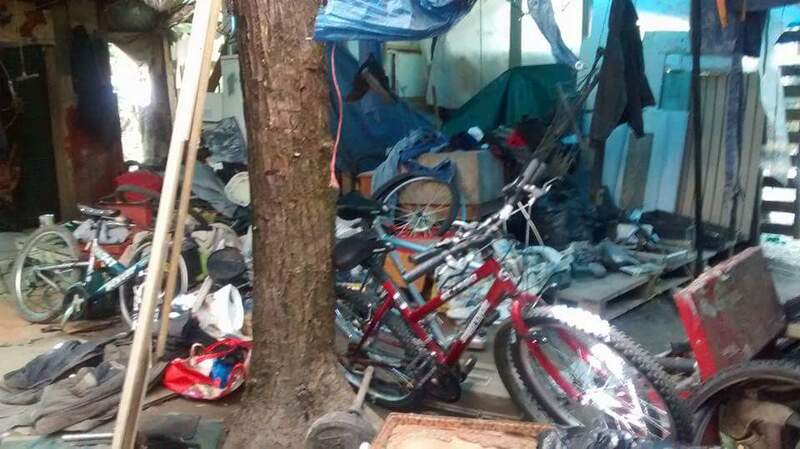 Just Who Won Abbotsford Homeless Court Case? Be the first to comment on "Abbotsford Public Hearing – U District Neighborhood Plan – Monday May 28"